Sample tattoos deconstructed and explained in detail with clear explanations. 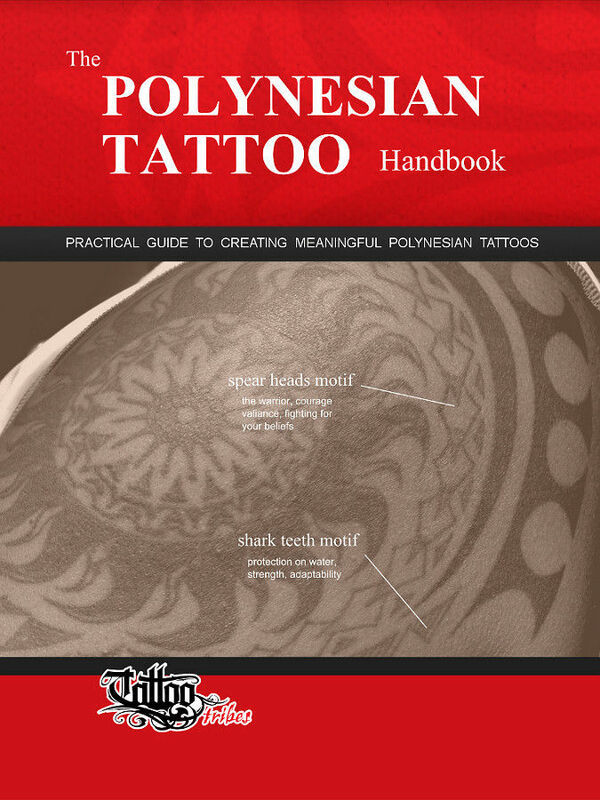 HOW is The Polynesian Tattoo Handbook Vol.2 different from Vol.1? In the years following the publication of Vol.1, many libraries in the Pacific area (Wellington, Honolulu etc.) started digitalizing and placing online for consultation many books that were not easily available before, such as the logbooks of the first expeditions exploring the Pacific Ocean and its islands. Many reports of these first contacts, rare and almost impossible to access, are now available, carrying a knowledge of the ancient symbols and traditions that was virtually lost before. A brief description here, a sketched image there, tens of books disclosed their treasures and became the inspiration of this book, which goes deeper than Vol.1 in search of the symbols, their meanings, their purpose and their cultural significance. WHAT is unchanged from Vol.1? Symbols have dedicated sections where they are listed with meanings and variants. 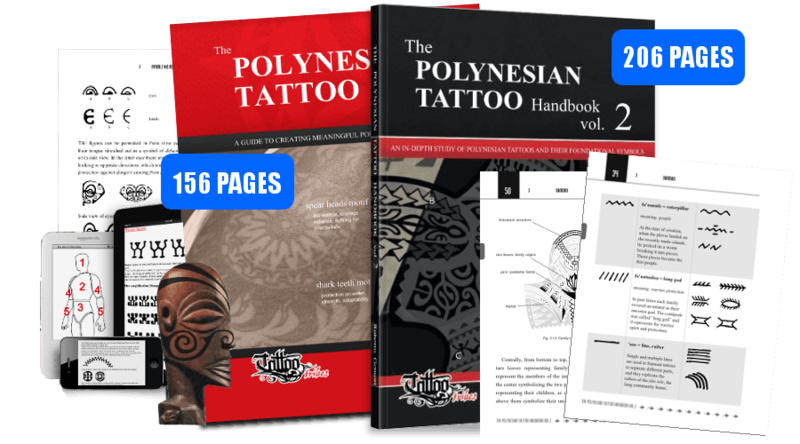 Each of the five main styles (Samoan, Marquesan, Tahitian, Hawaiian and Maori) has a dedicated chapter divided into three sections: a general introduction to the style, with its origins, features, and purpose; a list of symbols and variants, along with their names and meanings, and insights on the origin of some of them; and a design section where three original tattoos are deconstructed into their building blocks and explained thoroughly in order to clarify why those specific elements were chosen to create them and what decisions led to the placement of each single element.